Own “Space Jam” 20th Anniversary on Blu-ray Combo Pack and DVD on November 15! 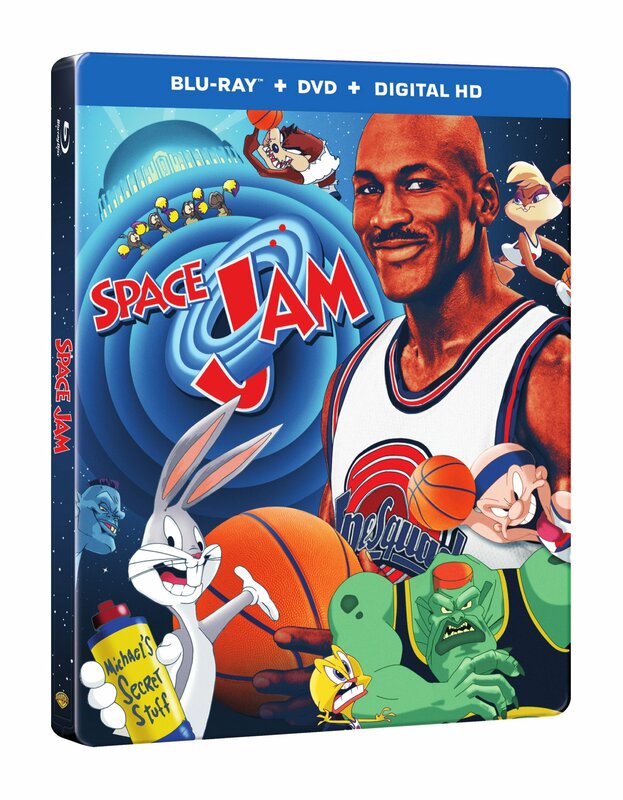 Burbank, Calif., October 10, 2016 – To celebrate the 20th anniversary of the beloved classic, Warner Bros. Home Entertainment will release “Space Jam,” on November 15 on Blu-ray Combo Pack in new steelbook packaging. Six-time NBA champion Michael Jordan and Looney Tunes linchpin Bugs Bunny star in the family comedy classic that introduced a whole new dimension of entertainment. The film also stars Wayne Knight, Theresa Randle and the voice of Danny DeVito. Bill Murray, Larry Bird, Charles Barkley, and Patrick Ewing appear as themselves. “Space Jam” was produced by Ivan Reitman and directed by Joe Pytka. The world’s greatest legends collide in a future universe with Jordan as a live-action hero entering a spectacular animated world. Captured by Bugs Bunny to foil a ghastly gang of space creatures, Jordan must play the basketball game of his life to save the beloved cartoon heroes from a hideous kidnapping scheme. “Space Jam” received an Annie Award for Best Individual Achievement: Technical Achievement and a Grammy® Award for Best Song Written Specifically for a Motion Picture or for Television (1997). Fans can also own “Space Jam” via purchase from digital retailers.